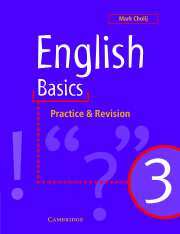 Cover the 'mechanics' of English language. 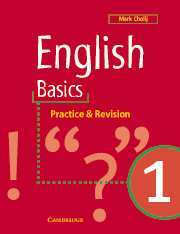 Provides an introduction to the basic principles of the English language for 9–11 year-olds. Also suitable as a revision book for older children. 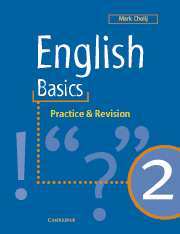 English Basics covers the ‘mechanics’ of the English language: spelling, punctuation and grammar. Each book offers a systematic work and study programme for use in the classroom or at home. Each unit consists of three sections. Initial tasks enable students to assess their grasp of a particular language point; a reference section contains accessible explanations and plenty of examples; and further exercises offer extension, revision and consolidation. A full glossary and answer key are also included. Unit 6. What is the plural of 'knife'? Unit 7. What is the plural of 'potato'? Unit 30. Is it 'freind' or 'friend'?